MINING Minister Byron Chan is confident that the mining of copper and gold on the seafloor in Bismarck Sea will start soon. He recently visited Newcastle in the United Kingdom to witness Nautilus Minerals offshore mining tools being manufactured and assembled. “The offshore mining tools are huge and are about to be completed. I can say with confidence now that I have seen and witnessed these equipment myself that seafloor mining within the Bismarck Sea is soon to become a reality,” he said. Chan was referring to the construction and assembling of the three seafloor mining tools – the auxiliary cutter, the bulk cutter and the collector. He said it was satisfying to witness the seafloor mining tools being assembled. “The advent of this technology being developed by Soil Machine Dynamics Ltd of Newcastle in the UK for Nautilus and the Government of PNG is nothing short of impressive,” he said. “I commend SMD for their engineering and design expertise in delivering these tools. “I take pride in the fact that we are not only developing these tools for ourselves but for all mankind who will benefit from their application in future and we the people of PNG are taking a leadership position in this new frontier of offshore mining,” Chan said. FOR residents both past and present, Vatukoula retains childhood memories and the awakening of youth. Its layout was unorthodox, with several communities set apart by ethnic makeup and varying privileges but closely bound by a maze of narrow roads and social activities. 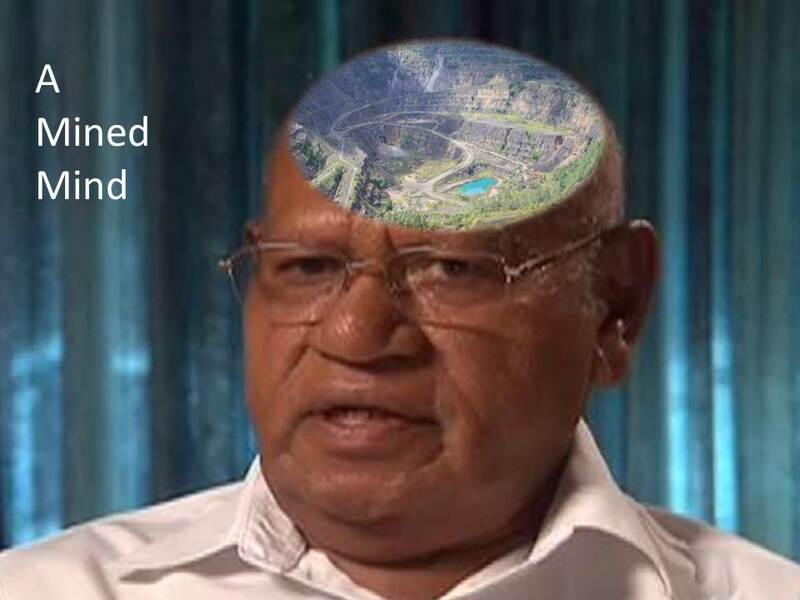 Those who grew up during the area’s booming days included Antonio Elaisa, a retired Human Resources training officer for the Fiji Sugar Corporation. “I was three years old when I came to Fiji from the island (Rotuma), when my mum passed away,” the Lautoka resident related. Antonio noted that despite the distance from Rotuma, their traditional customs remained, still intact and practised through ceremonial formalities. These sentiments were echoed by Maria Vuan, a retired Nilsen College teacher who has lived in the area for over 20 years. “This place was really a stepping stone for many,” she said. Though she didn’t grow up in the area, she would become part of its vibrant communities through her husband, Sunia Albert, who worked at the mines and moved there in 1987. As noted in the 1977 publication, Exiles and Migrants in Oceania, by Michael Lieber, Vatukoula had the highest percentage of expanded households of any of the Rotuman enclaves it studied. This was particularly due to a traditional obligation of well-off families looking after less privileged relatives, and this practice was prevalent in Vatukoula because of the high employment it afforded Rotumans who settled in Fiji. Antonio attended the Vatukoula Fijian Government School from Class One to eight and remembers taking a ten to 15-minute walk to school from Loloma — a settlement of mostly Rotuman families — with his cousins and friends. “We would go to a lady named Mary Lala, who sold Indian sweets under a mango tree,” he recalled. The Emperor Theatre in Korowere was also a popular fixture, and regularly attracted a crowd of movie goers to its double-storey complex along Emperor Avenue, where supermarkets and grocery stores were also located. “We didn’t have DVDs back then, so the movies were shown through reels. Admission to the movies was about 20 or 50 cents, very cheap. And we’d have movies shown in the morning, midday and in the afternoon. We just had three sessions in a day and would walk to Korowere. As charming as Vatukoula was for Antonio, the struggles of being raised in a large household prompted his resolve to find his own path for the future. “Sometimes I didn’t take lunch to school. It was a struggle. I set my goal to be well educated and to not have any second thoughts, but to focus on my future, and to get out of Vatukoula,” he said, noting that despite the prosperity, the mining town had limited work opportunities. Antonio managed to study afield at the University of the South Pacific in Suva, with a government scholarship and retains fond memories of growing up in the charming mining town, where he still has a few resident relatives. As studies and publications noted, the Rotumans of Vatukoula did not go without their share of challenges. One of these was the community’s insistence of retaining independence and control of their own affairs, which clashed with the rules of the mining companies. As cited by author Michael Lieber in Exiles and Migrants in Oceania, houses were symbolic to Rotuman social status and members of their community once approached a mining welfare office to request that their minister be allocated a house better than merited, which clashed with the mine management rules of how homes were assigned. The Rotumans also ran their own mess hall and were noted as the only community in Vatukoula to take care of their own food, as a Chinese caterer oversaw the part-European and European mess, while the Fijian mess was taken care of by the mining company. “The advantage enjoyed by Rotumans in their arrangement lies not only in profits but also in the capacity to allocate jobs within the mess to Rotumans,” it was noted. The first Rotuman worker at Vatukoula was a man named Tafaki, who joined the mine in 1939 and was recognised as a headman. Following him, the Rotuman community elected an electrician named Riamkau as headman. Vai remained headman until he died in 1960, although his predecessor, Riamkau, remained an influential member of the community during Vai’s leadership and even put together a committee that compromised of one man of chiefly decent from each Rotuman district. They held monthly meetings. “Interestingly, the resultant structure very nearly duplicated the social structure on Rotuma,” Lieber noted. Riamkau was re-elected leader after Vai’s death, though the committee passed a motion for the headman’s term to be limited to two years. “The community has been close but when you look at it, it has really depended on the kind of managers we used to have,” Maria said. One of the former regulations she noted included the eviction of a whole family if a member of their household damaged property or stole from other homes. Mine managers differed in character, with some taking a more avid interest in the affairs of Vatukoula’s community, while others were more centred on production. “Some came in and both cared for the community, as well as the production,” she said. Likewise, the characters of those regarded as Rotuman leaders have also varied, though they have played pivotal roles of overseeing their people outside the traditional frameworks of Rotuman villages. “Even though Rotumans are now everywhere, in Loloma, Nasivi and at Low-Cost, we still have what we call our area leader, similar to the village set-up. So whatever happens, we still do things together,” Maria noted. The Natural Resources and Energy Agency intends to conduct deep-sea test mining of minerals found on the seabed off Okinawa Island, in fiscal 2017. The government aims to mine as much as 1,000 tons of zinc, silver and other mineral resources at a depth of about 1,600 meters in the sea off the island. 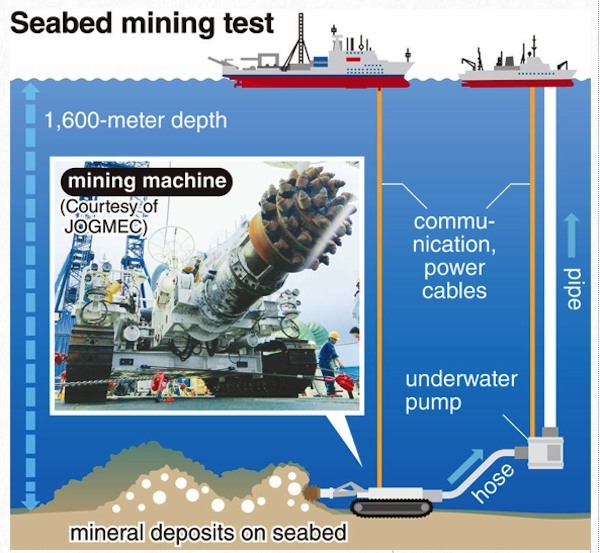 It is a world first to conduct such large-scale mining of minerals that lie under the seabed, according to the agency. A large number of mineral deposits have lately been found one after another in waters near Japan. Currently, the Hishikari gold mine in Kagoshima Prefecture is the only domestic commercial mine in the country, the agency said. Japan is 100 percent dependent on imports for minerals such as iron, copper and zinc, which are indispensable for the production of cars and home electrical appliances. The test mining is expected to be the first step to realizing commercial exploitation in the future, observers said, which would end Japan’s reputation as a country with limited natural resources. The agency plans to conduct the test mining on deposits found at the so-called Izena sea hole at about 100 kilometers northwest of Okinawa Island. It plans to use two mining machines developed by the Japan Oil, Gas and Metals National Corporation, the agency said. The agency plans to conduct the test mining by the end of fiscal 2017, using a special-purpose pump — which is expected to be developed in fiscal 2016 — to pull up unearthed minerals to a mother ship on the surface. It plans to mine about 100 tons of minerals every day for two to four weeks. The costs are expected to come to around ¥15 billion to ¥20 billion, according to the agency. Meanwhile, a Canadian company has launched the development of a machine to mine seabed minerals at a depth of more than 1,000 meters in the sea. A successful operational test of a Japanese-made mining machine at the Izena hole in the summer of 2012 confirmed the existence of about 3.4 million tons of mineral deposits including zinc, silver and gold. Mineral deposits also have been found in the coastal seas of Kumejima island in Okinawa Prefecture and Hachijojima island in Tokyo. The agency also plans to conduct a detailed survey of such mineral deposits. The government plans to conduct a full-scale project to conduct an integrated operation from exploitation to refinement in cooperation with private companies in the 2020s. 200 jobs – but at what cost to the environment, our sustainable livelihoods and our culture? Lion One the Metals Limited was granted a Special Mining lease by the Lands and Mineral Resources Ministry. About 200 jobs are expected to be created at the multi-million dollar Tuvatu Gold project in Nadi. This is after the Canadian company Lion One the Metals Limited was granted a Special Mining lease by the Lands and Mineral Resources Ministry. Land and Permit Manager, Moape Navia says the details are expected to be finalised at the end of this month. 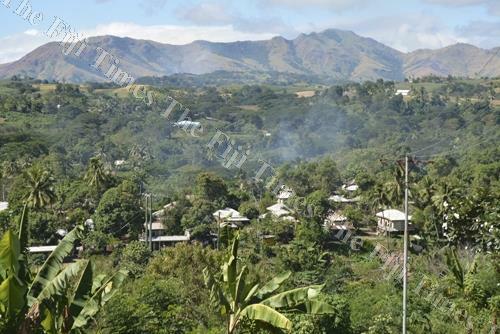 He says the special mining lease provides them the exclusive rights to the potential development, construction, and operation of mining, processing, and waste management infrastructure at Tuvatu and the surrounding lease area. He says the company was also granted a 21 year surface lease. Meanwhile, the Mataqali Nacokula of Natawa village and the Mataqali Nabouwalu of Korobebe in Nadi have received $700,000 as a premium payment. The mining lease area covers 373 hectares of land. Planning is in an advanced stage for a tailings dam to stop the dumping of mine wastes into the Fly River system, says an Ok Tedi Mining Ltd executive. Marketing executive manager Garry Martin said this to a Madang workshop on resource industries for media workers today. He said there were two possible sites for such a dam that had been identified and were being keenly studied for their suitability. The case for a tailings dam would be strengthened if the current deposit was extended and if very promising findings at the nearby Townsville tenement went ahead. Mr Martin, a qualified metallurgist, told the conference that while BHP, a previous owner, had tried and failed with a tailings dam, the technology had improved since those times. He said the tailings dam project could cost $US300-400 million but it was “something we are really looking at, particularly with the other nearby mineral deposits we are looking at’’. “The way it’s been done in the past is not the way you can do it nowadays,’’ he said. The terrain made it difficult, having 11 metres of rainfall each year and with steep terrain which resulted in substantial soil subsidence naturally. The mining over the past 30 years had accelerated that effect, he said. It is understood the company is hoping to have the dam constructed in time for the possible development of pockets of rich ore in the current Mt Fubilan lease and for development of the Townsville depost, which could mean by 2019 or soon after. The company expects to receive the pre-feasibility results later this year, which may lead to identifying one particular site for the tailings storage dam. “Many intensive forms of environmental exploitation and degradation not only exhaust the resources which provide local communities with their livelihood, but also undo the social structures which, for a long time, shaped cultural identity and their sense of the meaning of life and community”. “We note that often the businesses which operate this way are multinationals. They do here what they would never do in developed countries or the so-called first world”. The Pope’s 184-page Encyclical on the Environments was released today. It is sweeping in ambition and scope. He describes a relentless exploitation and destruction of the environment, which he blames on apathy, the reckless pursuit of profits, excessive faith in technology, and political shortsightedness. The golden thread throughout the entire Encyclical is: the world’s resources cannot continue to be looted by mankind. “Our immense technological development has not been accompanied by a development in human responsibility, values and conscience”. 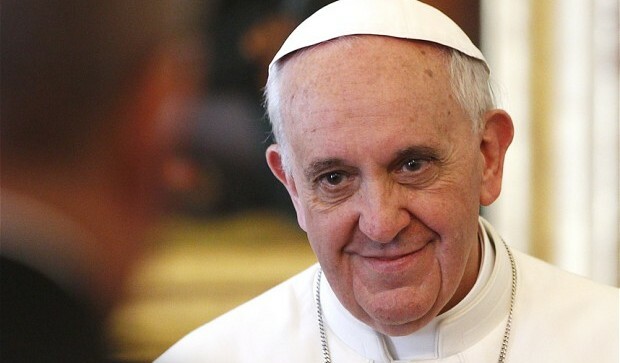 The impact of the Pope’s message is likely to be considerable. Although the number of church-going Catholics has dropped in Europe and many other parts of the industrialised world, the influence of the church is growing in many areas, particularly in Africa. “Faced with the global deterioration of the environment, I want to address every person who inhabits this planet. In this Encyclical, I especially propose to enter into discussion with everyone regarding our common home”. Pope Francis makes it clear that he hopes the Encyclical will influence energy and economic policy and stir a global movement. He calls on ordinary people to pressure politicians for change. Bishops and priests around the world are expected to lead discussions on the Encyclical in services this coming Sunday. Some pertinent excerpts are quoted below. We have taken the liberty of highlighting a few of the sentences. 36. Caring for ecosystems demands far-sightedness, since no one looking for quick and easy profit is truly interested in their preservation. But the cost of the damage caused by such selfish lack of concern is much greater than the economic benefits to be obtained. Where certain species are destroyed or seriously harmed, the values involved are incalculable. We can be silent witnesses to terrible injustices if we think that we can obtain significant benefits by making the rest of humanity, present and future, pay the extremely high costs of environmental deterioration. 37. Some countries have made significant progress in establishing sanctuaries on land and in the oceans where any human intervention is prohibited which might modify their features or alter their original structures. 38. … We cannot fail to praise the commitment of international agencies and civil society organizations which draw public attention to these issues and offer critical cooperation, employing legitimate means of pressure, to ensure that each government carries out its proper and inalienable responsibility to preserve its country’s environment and natural resources, without capitulating to spurious local or international interests. 40. Oceans not only contain the bulk of our planet’s water supply, but also most of the immense variety of living creatures, many of them still unknown to us and threatened for various reasons. What is more, marine life in rivers, lakes, seas and oceans, which feeds a great part of the world’s population, is affected by uncontrolled fishing, leading to a drastic depletion of certain species. Selective forms of fishing which discard much of what they collect continue unabated. Particularly threatened are marine organisms which we tend to overlook, like some forms of plankton; they represent a significant element in the ocean food chain, and species used for our food ultimately depend on them. 41. … It is aggravated by the rise in temperature of the oceans. All of this helps us to see that every intervention in nature can have consequences which are not immediately evident, and that certain ways of exploiting resources prove costly in terms of degradation which ultimately reaches the ocean bed itself. 42. Greater investment needs to be made in research aimed at understanding more fully the functioning of ecosystems and adequately analyzing the different variables associated with any significant modification of the environment. Because all creatures are connected, each must be cherished with love and respect, for all of us as living creatures are dependent on one another. Each area is responsible for the care of this family. This will require undertaking a careful inventory of the species which it hosts, with a view to developing programmes and strategies of protection with particular care for safeguarding species heading towards extinction. 51. … by the pollution produced by companies which operate in less developed countries in ways they could never do at home, in the countries in which they raise their capital: We note that often the businesses which operate this way are multinationals. They do here what they would never do in developed countries or the so-called first world. Generally, after ceasing their activity and withdrawing, they leave behind great human and environmental liabilities such as unemployment, abandoned towns, the depletion of natural reserves, deforestation, the impoverishment of agriculture and local stock breeding, open pits, riven hills, polluted rivers and a handful of social works which are no longer sustainable. 52. … There are no frontiers or barriers, political or social, behind which we can hide, still less is there room for the globalization of indifference. 54. It is remarkable how weak international political responses have been. The failure of global summits on the environment make it plain that our politics are subject to technology and finance. There are too many special interests, and economic interests easily end up trumping the common good and manipulating information so that their own plans will not be affected. The Aparecida Document urges that “the interests of economic groups which irrationally demolish sources of life should not prevail in dealing with natural resources”. The alliance between the economy and technology ends up sidelining anything unrelated to its immediate interests. Consequently the most one can expect is superficial rhetoric, sporadic acts of philanthropy and perfunctory expressions of concern for the environment, whereas any genuine attempt by groups within society to introduce change is viewed as a nuisance based on romantic illusions or an obstacle to be circumvented. 111. Ecological culture cannot be reduced to a series of urgent and partial responses to the immediate problems of pollution, environmental decay and the depletion of natural resources. There needs to be a distinctive way of looking at things, a way of thinking, policies, an educational programme, a lifestyle and a spirituality which together generate resistance to the assault of the technocratic paradigm. Otherwise, even the best ecological initiatives can find themselves caught up in the same globalized logic. To seek only a technical remedy to each environmental problem which comes up is to separate what is in reality interconnected and to mask the true and deepest problems of the global system. 140. Due to the number and variety of factors to be taken into account when determining the environmental impact of a concrete undertaking, it is essential to give researchers their due role, to facilitate their interaction, and to ensure broad academic freedom. Ongoing research should also give us a better understanding of how different creatures relate to one another in making up the larger units which today we term “ecosystems”. We take these systems into account not only to determine how best to use them, but also because they have an intrinsic value independent of their usefulness. Each organism, as a creature of God, is good and admirable in itself; the same is true of the harmonious ensemble of organisms existing in a defined space and functioning as a system. Although we are often not aware of it, we depend on these larger systems for our own existence. We need only recall how ecosystems interact in dispersing carbon dioxide, purifying water, controlling illnesses and epidemics, forming soil, breaking down waste, and in many other ways which we overlook or simply do not know about. Once they become conscious of this, many people realize that we live and act on the basis of a reality which has previously been given to us, which precedes our existence and our abilities. So, when we speak of “sustainable use”, consideration must always be given to each ecosystem’s regenerative ability in its different areas and aspects. 145. Many intensive forms of environmental exploitation and degradation not only exhaust the resources which provide local communities with their livelihood, but also undo the social structures which, for a long time, shaped cultural identity and their sense of the meaning of life and community. 174. Let us also mention the system of governance of the oceans. International and regional conventions do exist, but fragmentation and the lack of strict mechanisms of regulation, control and penalization end up undermining these efforts. The growing problem of marine waste and the protection of the open seas represent particular challenges. What is needed, in effect, is an agreement on systems of governance for the whole range of so-called “global commons”. 183. Environmental impact assessment should not come after the drawing up of a business proposition or the proposal of a particular policy, plan or programme. It should be part of the process from the beginning, and be carried out in a way which is interdisciplinary, transparent and free of all economic or political pressure. It should be linked to a study of working conditions and possible effects on people’s physical and mental health, on the local economy and on public safety. Economic returns can thus be forecast more realistically, taking into account potential scenarios and the eventual need for further investment to correct possible undesired effects. A consensus should always be reached between the different stakeholders, who can offer a variety of approaches, solutions and alternatives. The local population should have a special place at the table; they are concerned about their own future and that of their children, and can consider goals transcending immediate economic interest. We need to stop thinking in terms of “interventions” to save the environment in favour of policies developed and debated by all interested parties. The participation of the latter also entails being fully informed about such projects and their different risks and possibilities; this includes not just preliminary decisions but also various follow-up activities and continued monitoring. Honesty and truth are needed in scientific and political discussions; these should not be limited to the issue of whether or not a particular project is permitted by law. 184. … Some projects, if insufficiently studied, can profoundly affect the quality of life of an area due to very different factors such as unforeseen noise pollution, the shrinking of visual horizons, the loss of cultural values, or the effects of nuclear energy use. The culture of consumerism, which prioritizes short-term gain and private interest, can make it easy to rubber-stamp authorizations or to conceal information. 187. This does not mean being opposed to any technological innovations which can bring about an improvement in the quality of life. But it does mean that profit cannot be the sole criterion to be taken into account, and that, when significant new information comes to light, a reassessment should be made, with the involvement of all interested parties. The outcome may be a decision not to proceed with a given project, to modify it or to consider alternative proposals. 190. … The environment is one of those goods that cannot be adequately safeguarded or promoted by market forces. Once more, we need to reject a magical conception of the market, which would suggest that problems can be solved simply by an increase in the profits of companies or individuals. Is it realistic to hope that those who are obsessed with maximizing profits will stop to reflect on the environmental damage which they will leave behind for future generations? 195. … Yet only when the economic and social costs of using up shared environmental resources are recognized with transparency and fully borne by those who incur them, not by other peoples or future generations, can those actions be considered ethical. 213. Ecological education can take place in a variety of settings: at school, in families, in the media, in catechesis and elsewhere. 214. … Political institutions and various other social groups are also entrusted with helping to raise people’s awareness. So too is the Church. All Christian communities have an important role to play in ecological education. The above do require some serious thought! BOUGAINVILLE’S realistic option for rapid self-reliance and improved levels of service is large scale mining, re-elected Autonomous Bougainville President John Momis says. Momis said re-opening the Panguna mine would provide “the best chance of early revenue” as it could open in six or seven years. He said alternative new mining projects would take from 15 to 30 years from exploration to production. “Under our March 2015 Bougainville Mining Act, customary land owners also own minerals. They can reject mining exploration and development,” Momis said. “So Panguna will not re-open without landowner agreement, which means clear agreement by a clear majority of landowners, with no manipulation of consent. “It is certainly possible Panguna will not re-open, if landowners oppose it, or if BCL (Bougainville Copper Ltd) don’t return and alternative developers can’t be found. “But other communities want mining exploration and those possibilities will be evaluated. “The new Bougainville Mining Act means any new mining will be on totally different terms from under the Bougainville Copper Agreement. 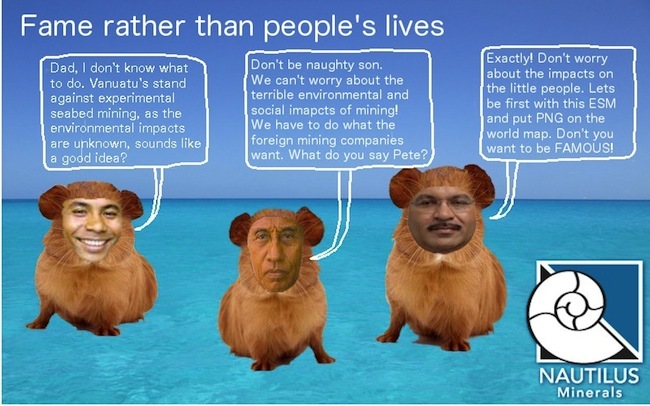 In April, BCL chairman Peter Taylor said a study conducted by the company indicated that there would be a very high production level when opening a new mine at Panguna. BCL is a subsidiary of Rio Tinto which holds a 54 per cent stake in the Panguna copper gold project, before it ceased operations in 1989. In the 17 years prior to 1989, the Panguna mine produced concentrate containing 3 million tonnes of copper, 306 tonnes of gold and 784 tonnes of silver. The production had a value of K5.2 billion representing about 44 per cent of Papua New Guinea’s exports over that period. A total of K1.08 billion or 62 per cent of the net cash generated by the Panguna mine between 1972 and 1989 was contributed to the Government.